Dumbwaiters aren't just for restaurants and food service businesses. Any business needing to move materials from floor to floor can benefit from purchase and installation of a commercial dumbwaiter. ​Consider this, if your employees frequently carry moderate to heavy loads of materials up and downstairs, their risk of injury and your liability only increases. But with a commercial dumbwaiter from Sturm Elevator, material loads of up to 500 lbs. can be easily moved between the levels of your business, thus reducing the chances of a work related injury and your liability as a business owner. Sturm Elevator recommends and installs commercial dumbwaiters from the industry leaders at Elevation Innovation. 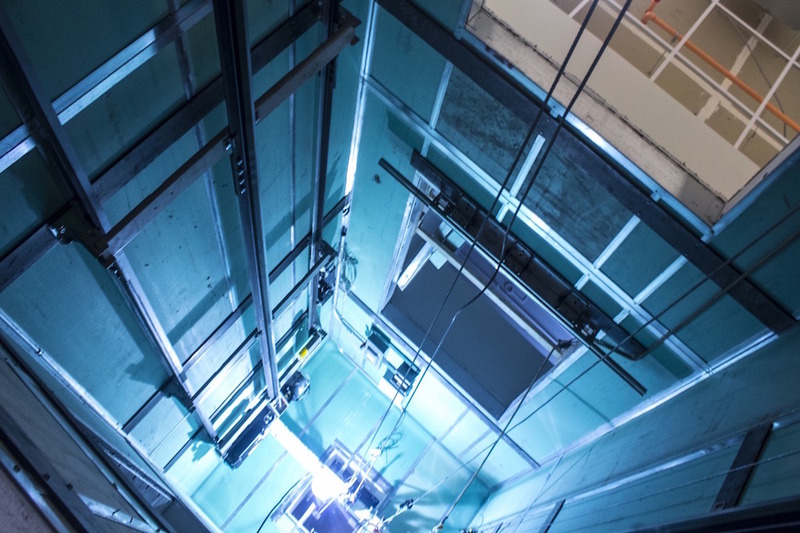 Elevation Innovation’s Inteli-Lift Gen II Commercial Dumbwaiter systems are the only dumbwaiters produced worldwide that are fully certified by Underwriters Laboratory (UL). Elevation Innovation offers commercial dumbwaiters capable of moving between up to 6 floors and 75 ft. The available weight capacity options for the dumbwaiters are 75 lbs., 125 lbs., 250 lbs., 300 lbs. and 500 lbs. The features and benefits you'll see below make the Inteli-Lift Gen II series the top dumbwaiters for commercial use available today. You can reach Sturm Elevator at 503-284-2003. We'll discuss the features and benefits of the commercial dumbwaiters systems we offer and help you determine which one is right for you and your business. Comes equipped with a variable frequency drive and text display through their Intelligent Commercial Dumbwaiter controller. 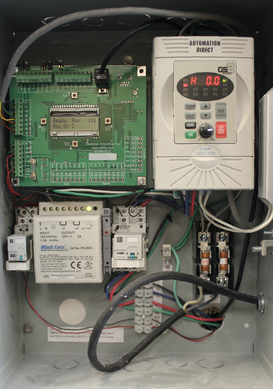 Complete motor control which comes from variable frequency drive(VFD) that converts power from 115V to a 3 phase 230V. The unit starts and stops softly. A programmable LED can turn off or stay on for the call and send features. An indicator that shows which direction the cab is traveling. An arrival buzzer that can be turned on or off and is programmable. A one-piece cab that comes in either stainless steel or mild steel. An aluminum rail system that is custom built for your installation. 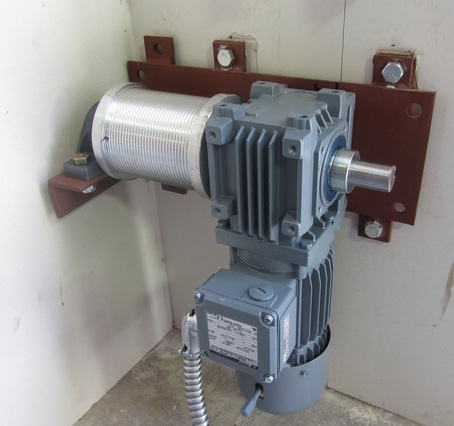 A 3 phase gear assembly and motor made by Bauer in Germany that is maintenance free. Safety precautions such as a sling type A safety braking system, a final top limit, and a slack cable. UL certified Interlock safety doors. UL certified 125lb. or 250lb. capacity cab. A reliable cable drive system that is economical. Bi-parting or roll up cate system for cab door. “Car Here” LED that can be positioned anywhere to alert staff and servers. Smooth start and stop features. Floor indicator that’s digital and can be programmed with LED. Arrival alert that can be programmed and turned on or off. One piece, mild or stainless steel cab. Rail system made of aluminum with chase ways that are electrical and all made custom for you project. Optional remotely located “Car here” indicator. Motor and gear assembly that are virtually maintenance free. Safety devices that are listed with the previous model. Can travel 50 ft. per minute. Has the capacity for 300lb. or 500lbs. Cable drive system that is reliable. Slide-up or bi-parting gate enclosure on cab. ​​An Inteli-Lift GEN II Commercial Dumbwaiter System from Elevation Innovation could be the perfect solution for your business. Talk to Sturm Elevator about which model and options are right for your building and business. 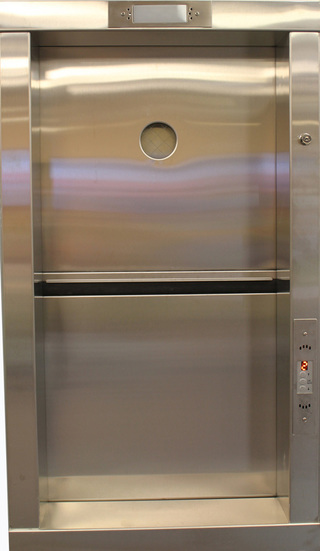 90 minute rated stainless steel pre-hung dumbwaiter doors that swing. 90 minute rated Bi-parting or Slide up mild steel or stainless doors. 90 degree, front/back and same side cab configurations. 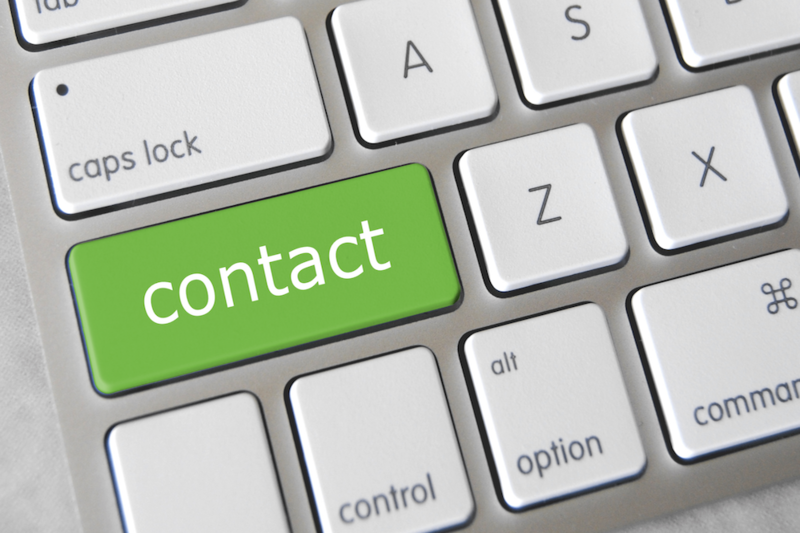 To speak to a member of the Sturm Elevator team directly call 503-284-2003 or use our online CONTACT FORM. We're here for all your business mobility needs!